Rima Ariadaeus is a fine example of a straight rille. Ariadaeus Rille is over 300 km in length; a portion of the central section of the rille about 120 km in length is pictured here. A linear section of the crust is dropped down along parallel faults or breaks in the crust to form a graben or fault trough. The ridges crossing the trough and the surrounding plains units have been offset by the trough, proving that they are older than the faults. Some craters are cut off by the faults and are, therefore, older. 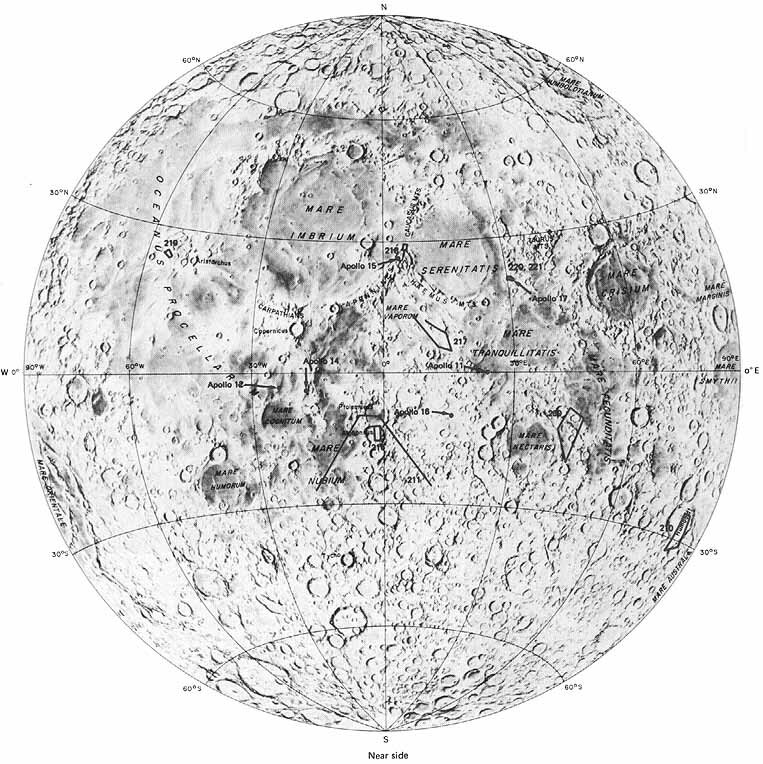 Other craters lie on the wall of the trough and are younger than the faulting. 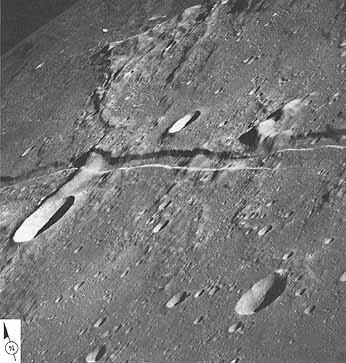 The faulting must be relatively young because so few craters appear to be younger than the faults, and because the edges of the trough appear to be crisp and little affected by slumping and other mass wasting.